A Fonsagrada is the first major reference point on the Primitive way in Galicia, a starting point for many pilgrims who choose to begin their route to Compostela from here, (160 kilometres from the tomb of the Apostle) and an oasis for walkers who began their journey in Oviedo. 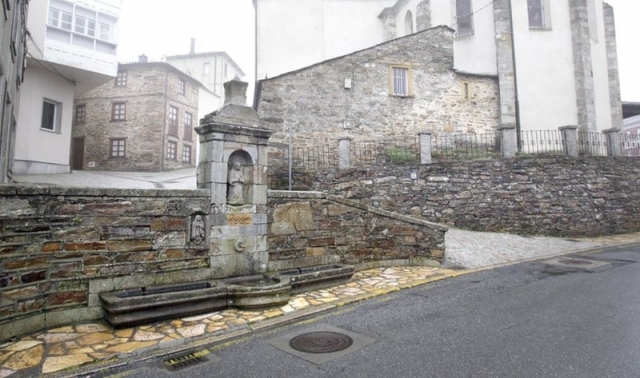 A Fonsagrada owes its name to an old fountain located in the urban centre: La Fons Sacrata. A Biosphere reserve for UNESCO: with the rivers Eo, Oscos and Tierras de Burón. For pilgrims wanting to make a stop on their Camino and get to know the area there are a number of options for alternative accommodation apart from the albergue, there is even a Spa where hikers can recuperate strength. It frequently snows in A Consagrada in winter. If you are traveling on the Camino de Santiago or are planning to do so soon, you should know that the distance separating Fonsagrada from Santiago de Compostela is 155 kilometers.